The Mars Volta is an American progressive rock band from El Paso, Texas, formed in 2001. 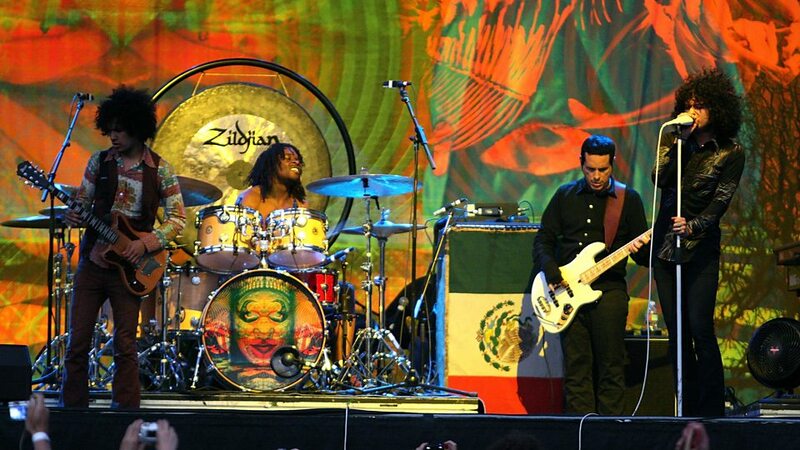 The band's final lineup consisted of Omar Rodríguez-López (guitar, producer, direction), Cedric Bixler-Zavala (vocals, lyrics), Juan Alderete (bass), Marcel Rodríguez-López (keyboards, percussion) and Deantoni Parks (drums). The band formed following the break-up of Rodríguez-López and Bixler-Zavala's previous band, At the Drive-In. They were known for their energetic live shows and their concept albums. In 2009, the band won a Grammy Award in the Best Hard Rock Performance category for the song "Wax Simulacra". In 2008, they were named Best Prog-Rock Band by Rolling Stone magazine. 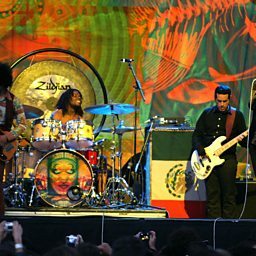 In September 2012 the Mars Volta entered a hiatus, with Omar Rodríguez-López and Parks forming a new project, Bosnian Rainbows. Four months later, the band formally broke up. Bixler-Zavala and Alderete subsequently formed a new band, Zavalaz. Rodríguez-López and Bixler-Zavala eventually reunited in 2014 for a new project, Antemasque; At the Drive-In reunited in 2015, and comments from the pair have indicated that they plan to reunite The Mars Volta in the future.